Karachi - Pakistan on Saturday announced the itinerary for a full series against Sri Lanka that will be played mainly in neutral venues but features a planned finale in Lahore. The series will comprise two Tests -- the second a day-night affair -- five one-day and three Twenty20 internationals. Pakistan Cricket Board (PCB) hopes to host the last Twenty20 in Lahore, depending on whether a three-match series against a World XI team next week passes off without incident. PCB director Haroon Rasheed said he hoped the match would be held as planned. "We have scheduled the last Twenty20 in Lahore with high hopes and it will follow our series with World XI," Rasheed told AFP. Pakistan have been forced to play their home international games in the UAE since a 2009 terrorist attack on the Sri Lankan team bus in Lahore suspended all international matches in the country. Rasheed said the second Test will be a day-night affair in Dubai. 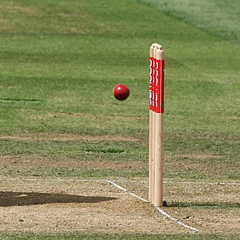 "Day-night Tests are an innovation worldwide and it is aimed at attracting spectators to the ground after their office timings," said Rasheed, a former Pakistan batsman. Australia hosted the first day-night Test against New Zealand in Adelaide in 2015. Pakistan also hosted a day-night Test against the West Indies in Dubai last year. PCB said the Test series commences in Abu Dhabi on September 28 and will be followed by a day-night Test in Dubai beginning October 6. The five-match one-day series will be played in Dubai (October 13), Abu Dhabi (October 16 and 18) and Sharjah (October 20 and 23). Abu Dhabi will host the first two Twenty20 internationals on October 26 and 27 while the last T20 will be in Lahore on October 29.